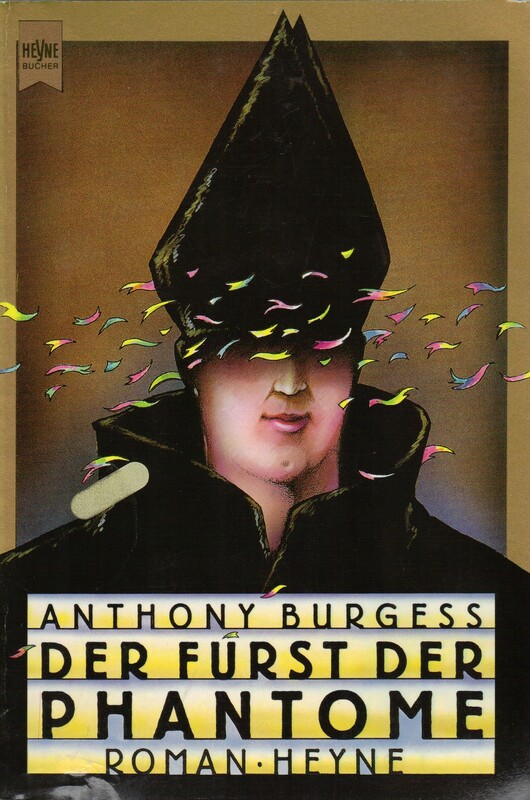 In the late 70s Klett-Cotta acquired the German rights for several books by two British writers: Doris Lessing and Anthony Burgess. Having been in a close relationship with the publishers (as an editor and translator, mostly of non-literary material) I was given the choice between the two. Both were unknown to me; my interest in modern novels was rather limited. I read some hundred pages of Lessing’s Children of Violence and got terribly bored. By contrast Burgess’s One Hand Clapping looked quite refreshing. What attracted me at first sight was the vivacity of his prose and also – a motive that gained more weight later on – the presence of poetry. So my decision was made. 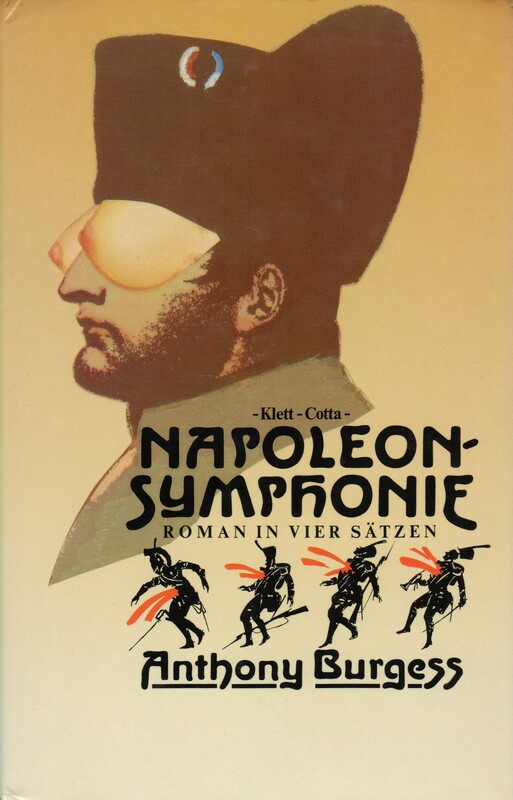 After One Hand Clapping I had to do Tremor of Intent (one of his worst books, I think; I hate spy thrillers); but then came Napoleon Symphony, and this was the book that finally won me over. At first I shied away from it because it contained so many poems: how much time will you spend nail-biting, cursing the author and your own lack of inspiration and talent? But the publishers made a rather generous offer which allowed me to spend almost a year on the book, and so I agreed to try my hand at something far more difficult than anything I had done before. The difficulties turned out to be less of a mountain than they appeared, thanks mostly to Burgess himself with whom I discussed them during my first visit in Monaco (1981 or 82?). We spent the whole day in the rue Grimaldi, sitting at a large table covered with layers of books and papers which had to be shoved aside to make room for a meal, drinking an excellent Cognac from unwashed wine glasses. Burgess had me read to him my first draft of the verse epilogue, and although he didn’t understand much German he noticed at once when a line had an iambic foot too much or too little. I asked him where the painting was to be found which, in one of the poems, is described as an oblique rendering of Marengo, and he annoyed me by answering evasively. (Some weeks later I found it in the Musée de Versailles: the name of the painter, Lejeune, is hidden in the text. Belmont and Chabrier whose excellent translation gave me many hints anonymized him as ‘un jeune’). When the German version came out, it wasn’t a big success, but got some very good reviews, in particular one in the Neue Zürcher Zeitung. My second visit to Monaco was in 1984 (or 83?) when I was finishing Earthly Powers. At first, he told me, his title for the book had been ‘The Prince of the Power of the Air’, but the American publishers had insisted on changing it. The expression was from the King James Bible, and I looked for something corresponding to it in Luther; the actual German title, however, Der Fürst der Phantome, was taken (if my recollection is right) from a German translation of Hobbes’s Leviathan. On this occasion, I remember having discussed behaviour therapies with him. I had some reservations concerning his description of one in their varieties in A Clockwork Orange, and, I fear, I was quite professorial, raising some mild mockery from him. In the evening he didn’t want to miss the (rare) occasion to see British television, which gave him the feeling of being not so far from home. We saw a film about gelding horses; he looked on with fascination and pity. 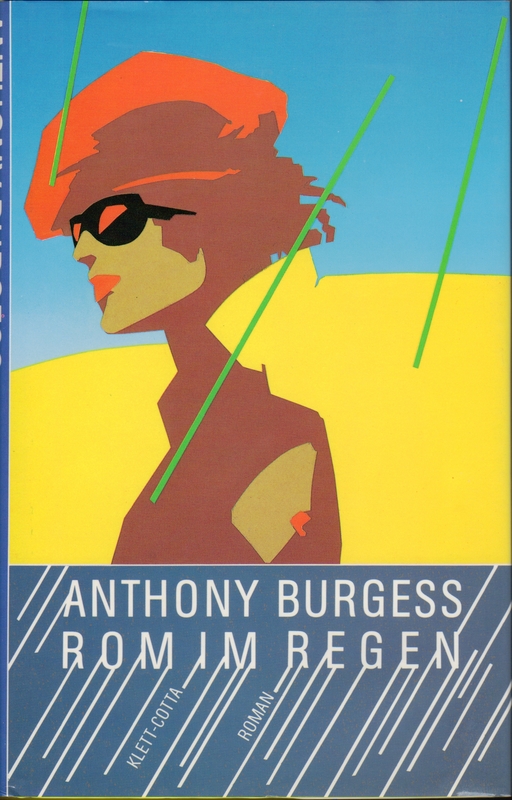 In the late 80s, I again became an editor at Klett-Cotta, responsible for (among other things) Burgess’s novels. The job was too time-consuming to go on translating, so I had to find somebody else for this task. This was Joachim Kalka, by now a very renowned translator. He did The End of the World News, The Pianoplayers, and Any Old Iron; together we did two Enderby novels. Most of our books got mixed reviews, some enthusiastic and some (mildly) disparaging. My own translations were sometimes criticised for using dialect to translate dialect, a practice Burgess had recommended and to which I still adhere. (He once told me about his wish to translate some of Belli’s Roman sonnets into Mancunian dialect, and I remember seeing some examples in ABBA ABBA). 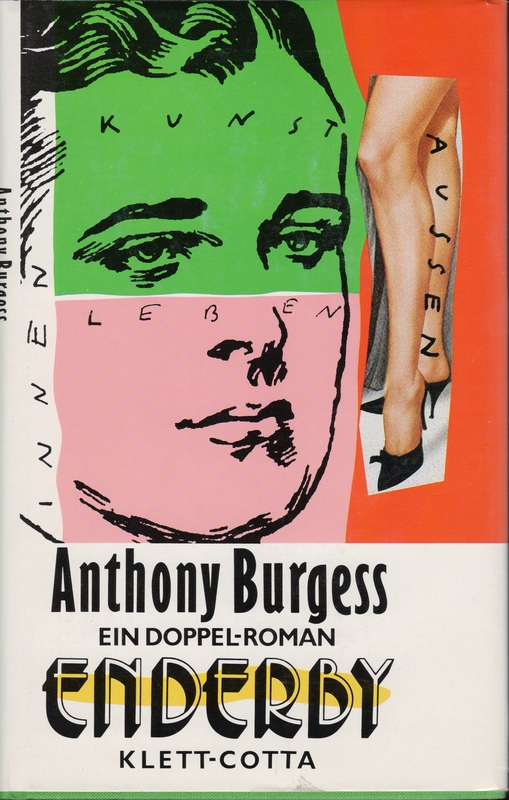 These were not the first books by Burgess to appear in German: earlier in the 70s there had been versions of A Clockwork Orange and The Doctor is Sick, the first a quick and cheap affair, moderately successful in the wake of the film, both later to be retranslated by me. Later in the 90s, going freelance again, I did his last novel, the one about Marlowe. 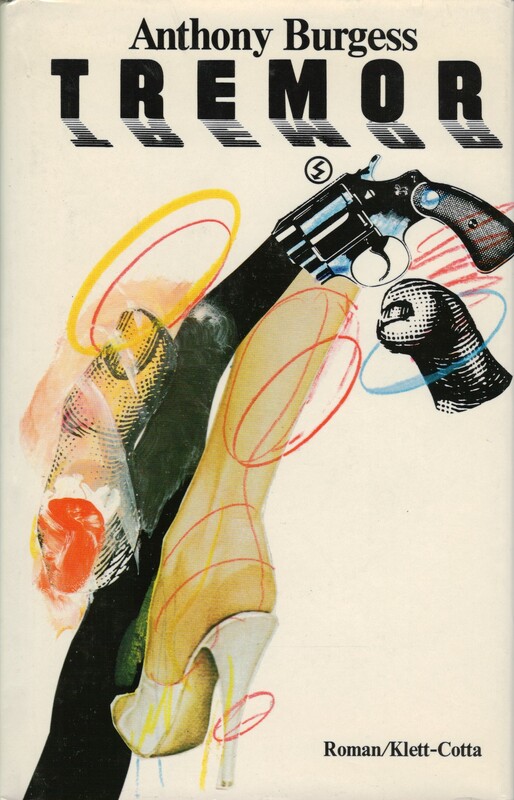 The short stories in The Devil’s Mode, translated by Kalka and me, are rotting unpublished in some drawer at Klett-Cotta: the publishers were discouraged by diminishing sales; I could not convince them to take on Burgess’s autobiography, although it got on the bestseller lists in Britain. Our personal relationship during all those years remained friendly, but not too close. We met several times at social or literary occasions in Vienna and Germany and exchanged a few letters or phone-calls, mostly concerning some urgent business. I admire in him a great tragi-comical writer, incredible rich in stylistic variations and polyphonic narrative masquerade. As a translator you are forced to expand your repertory; and that is why I think that my craft owes him a lot. Otherwise, we sometimes didn’t see eye to eye. One example: we both like Borges, but he complained that Borges had never written a novel, whereas to my mind this is more a merit than a deficiency. He had a low opinion of Stendhal and Musil, two of my heroes, whereas I couldn’t understand his fascination with Joyce. Knowing little of German literature, he seemed to consider Günther Grass a great innovator – an author I never found worth reading. He was somewhat impressed by psychoanalysis, an illness widespread among the literati which, in his case, took the form of an eagerness to be ‘adult’. This became clear on one occasion when I tried to discuss Tolkien with him, an author I also translated, sometimes in close temporal proximity with a Burgess novel. He became quite gruff and said: ‘I write adult fiction’, and we changed the subject. In fact, the novel may be adult fiction, but I think it’s not really a form, just a container for something else. Burgess’s best novels (Napoleon Symphony, Earthly Powers, A Dead Man in Deptford) to my mind, are poems in disguise. Wolfgang Krege was a translator and author. As well as works by Burgess, he translated J.R.R. Tolkien, Amelie Nothomb, and Joseph Conrad into German. He died in 2005.